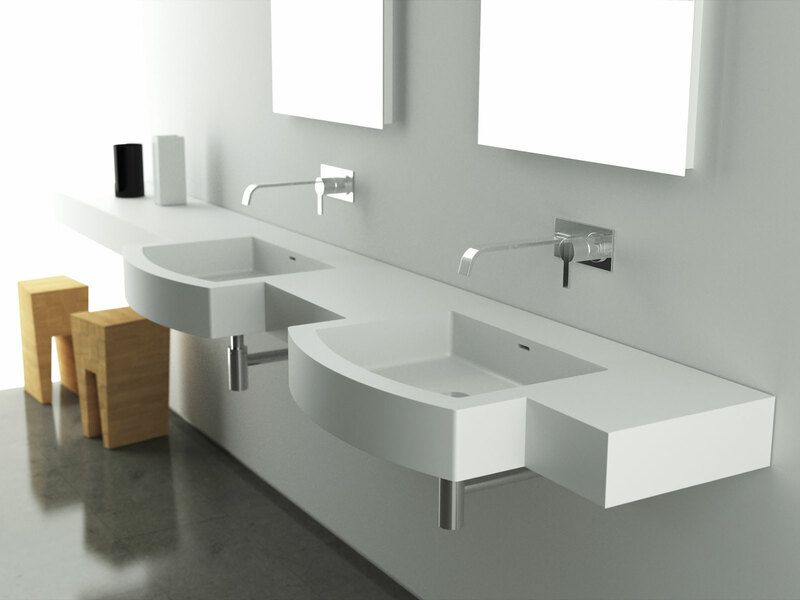 Over twenty years' experience in processing plastics is what shapes Moma Design's bathroom furniture made of Corian, a material that is particularly appreciated by architects for its ability to fulfill all kinds of project requirements. 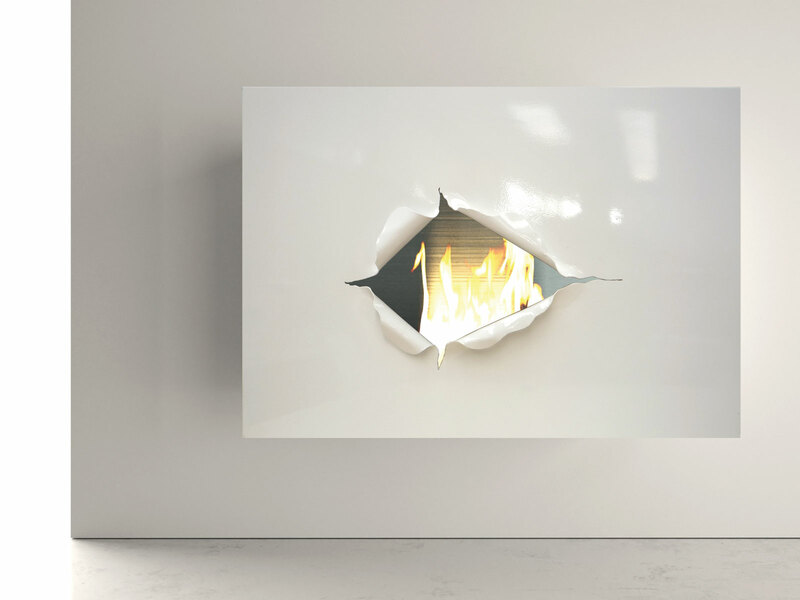 Moma Design's output is born in the heart of Milan - a hotbed of design - in the great tradition of Italian-made workmanship, as well as the sophisticated, metal fireplaces. 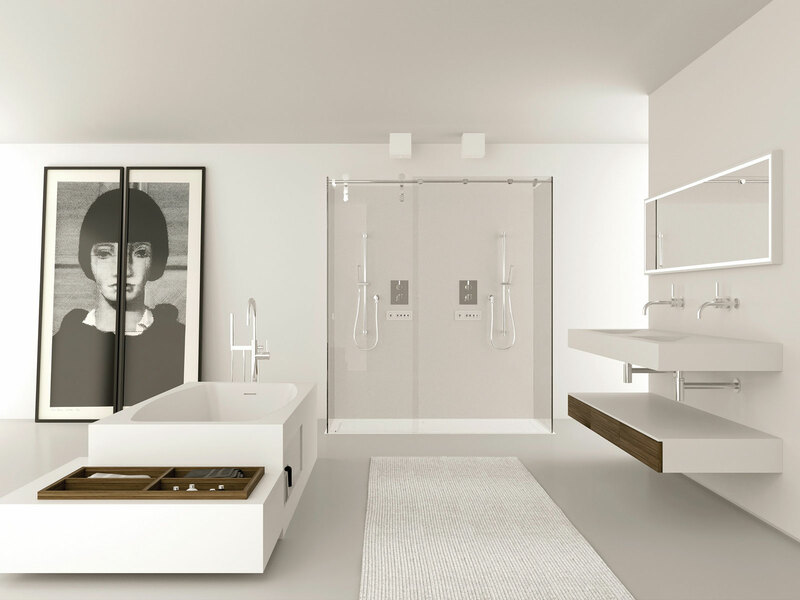 Minimal and contemporary-style forms suitable for luxury apartments and rooms that seek to bring their own distinctive traits to modern elegance, as is the style of the most famous celebrity architects. 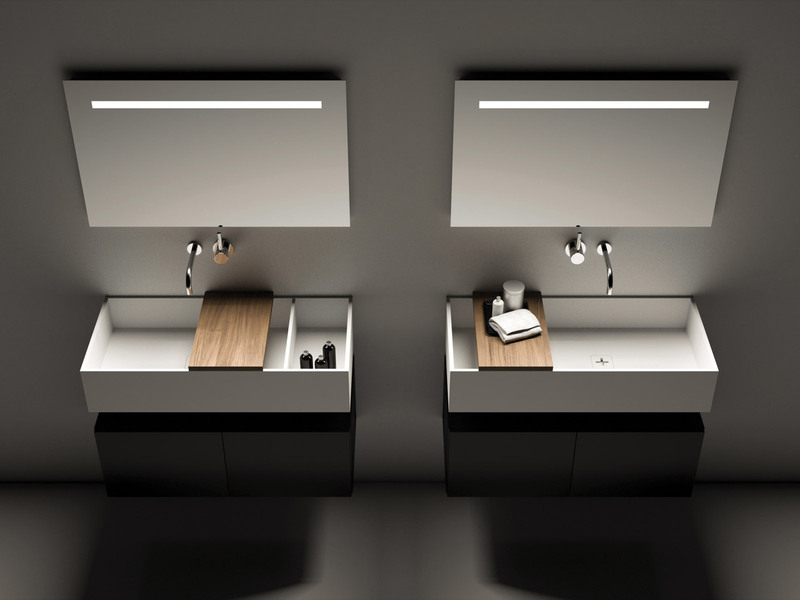 As a guarantee of Moma Design's quality, its laboratories have been awarded the title of certified laboratory by Corian Dupont's Quality Network. 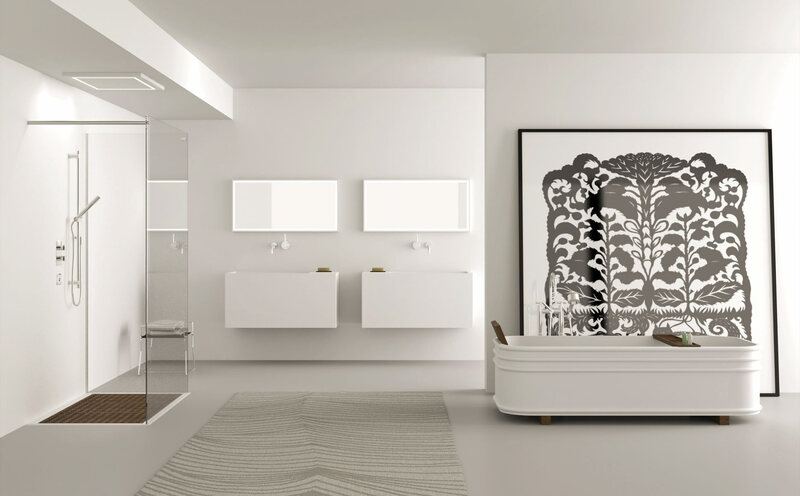 Along with an outstanding quality Moma Design bathroom furniture combines maximum customization: Each furniture item is designed specifically for each individual customer, along the lines of a "one model only" output. 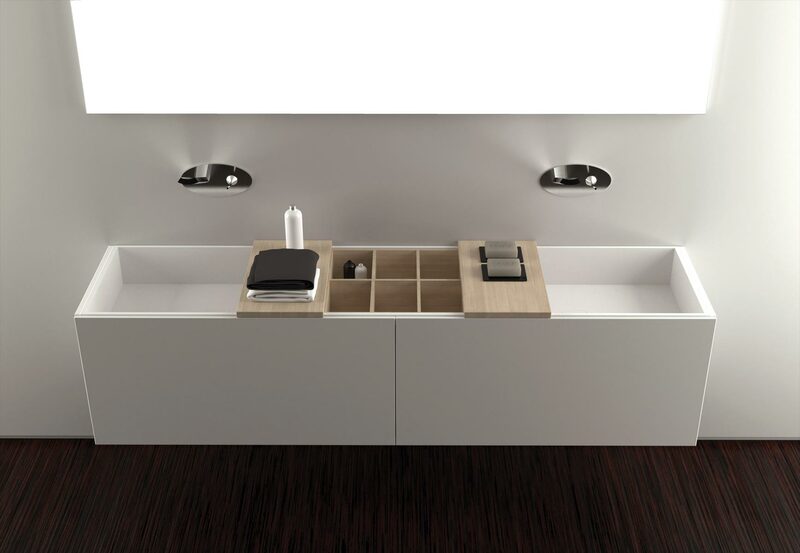 Moma Design bathroom furniture is made entirely of Corian, a versatile material which may take any desired shape, ensures maximum hygiene as it is non-porous, and can be easily repaired, thus ensuring the furniture item maintains its full value. 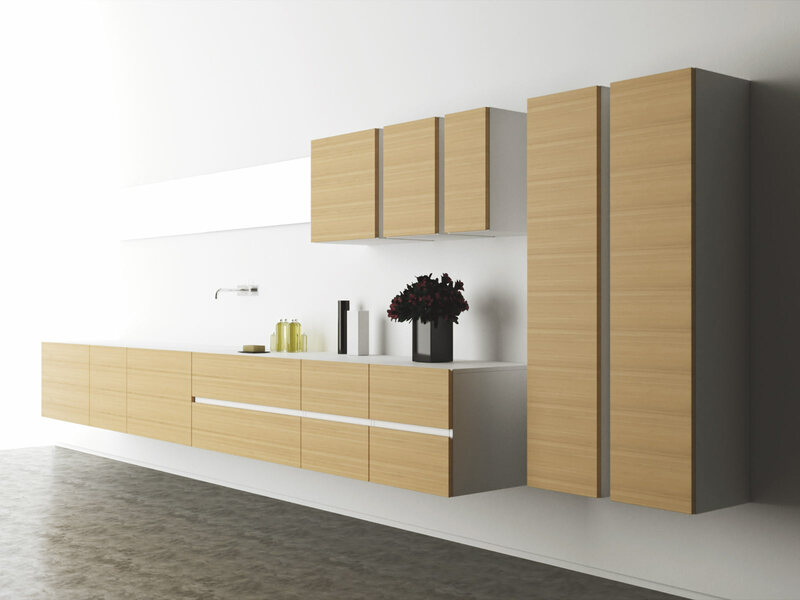 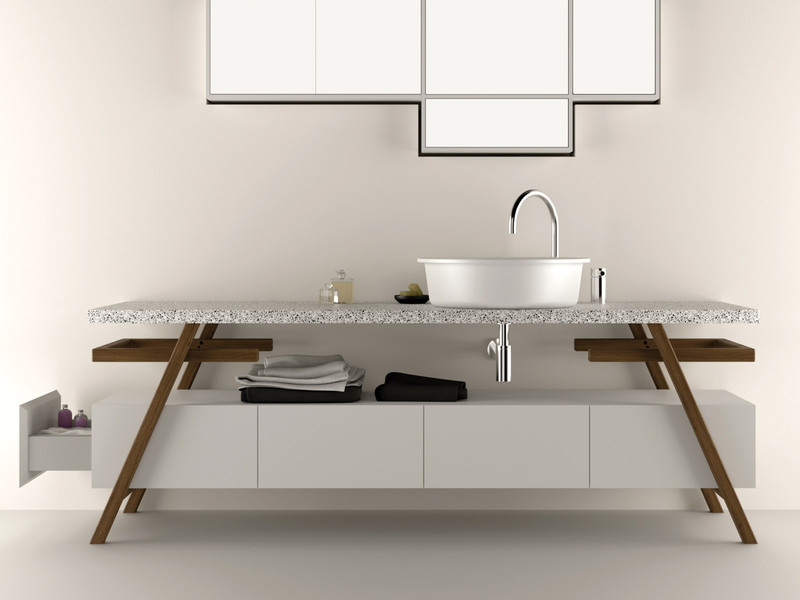 A favourite of the most famous architects, Corian furniture combines the moldability of wood with the aesthetic impact of stone, yielding an effect of unabashed crispness and modernity. 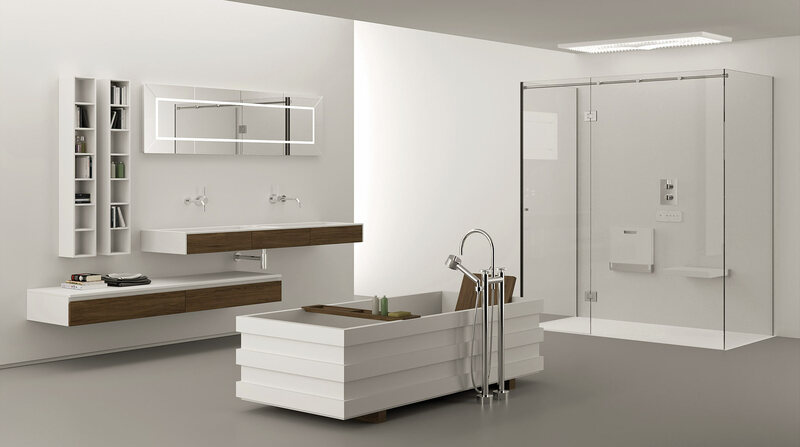 The bathroom furniture range is complemented by the manufacture of decorative fireplaces in metal whose sophisticated and contemporary design gives a touch of style to the most modern and distinguished ambiences. 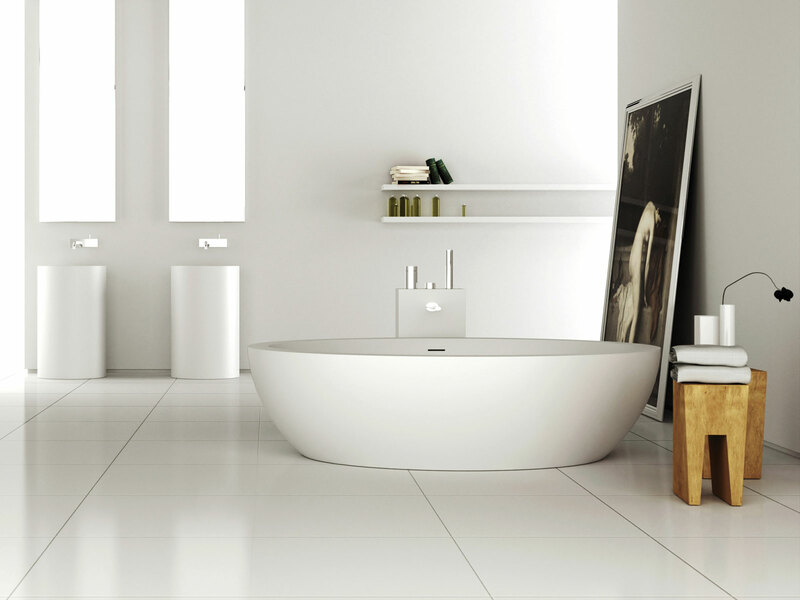 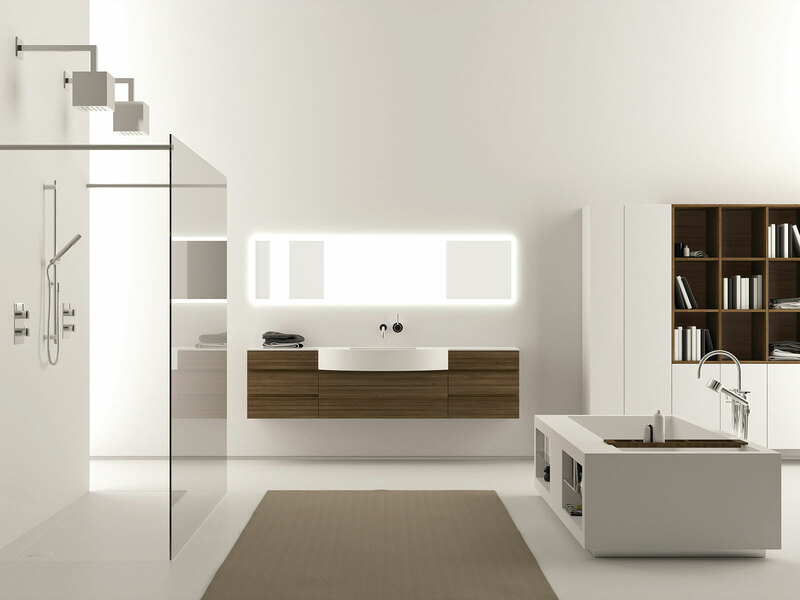 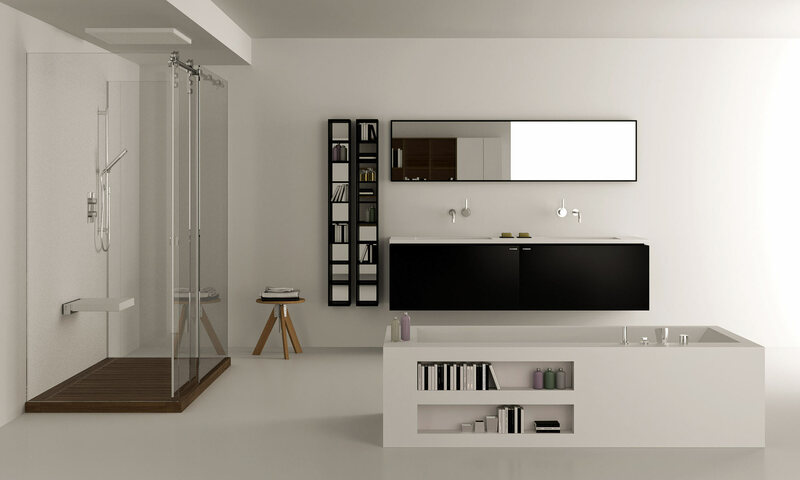 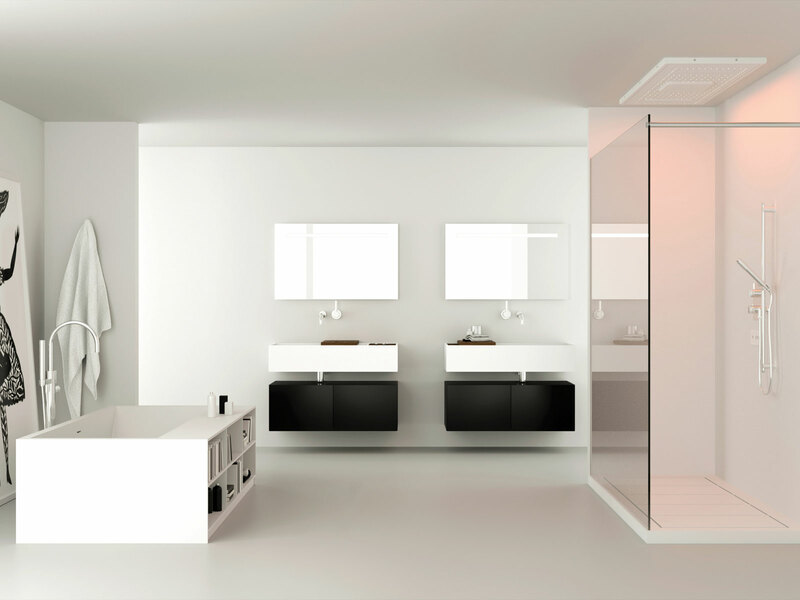 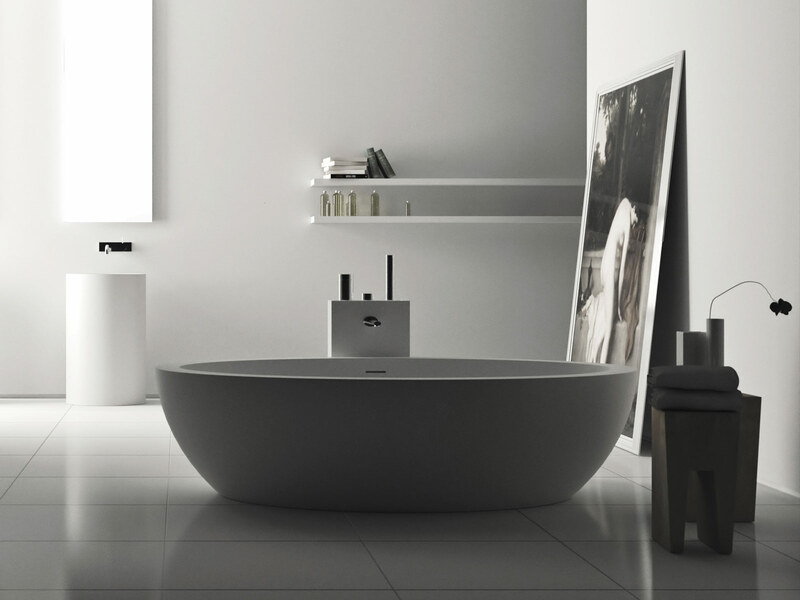 Thanks to its in-house design Moma Design is capable of designing made-to-measure Corian bathroom furniture tailored to each customer, so as to fully satisfy all kinds of furniture needs. 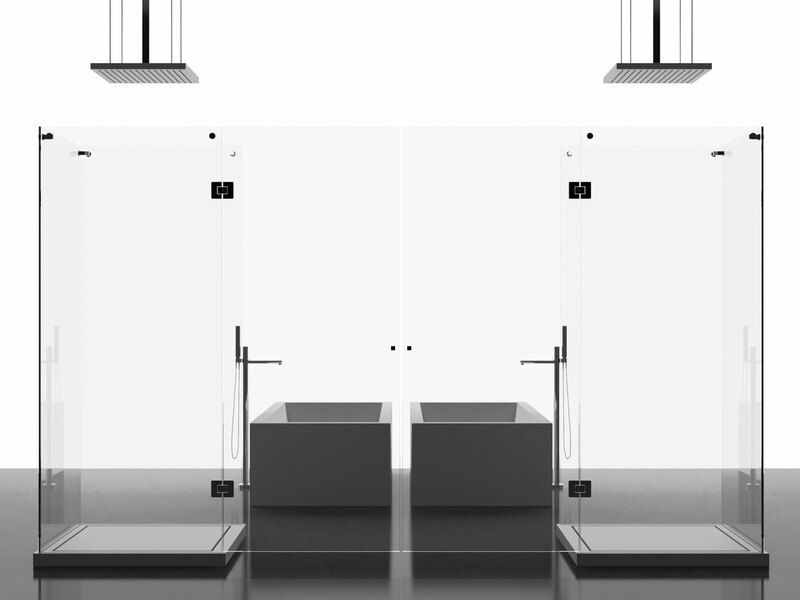 Thanks to these features, Moma Design becomes an ideal partner for architects and interior designers, who know they can rely on experienced professionals. 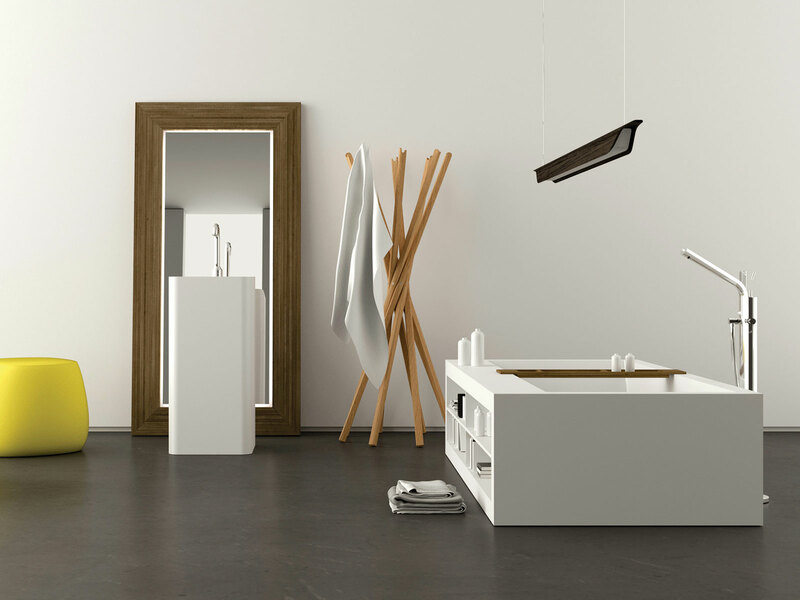 In addition to production and design, Moma Design also installs the furnishings and carries out repairs all over the world, thanks to Corian Dupont's extensive Quality Network. 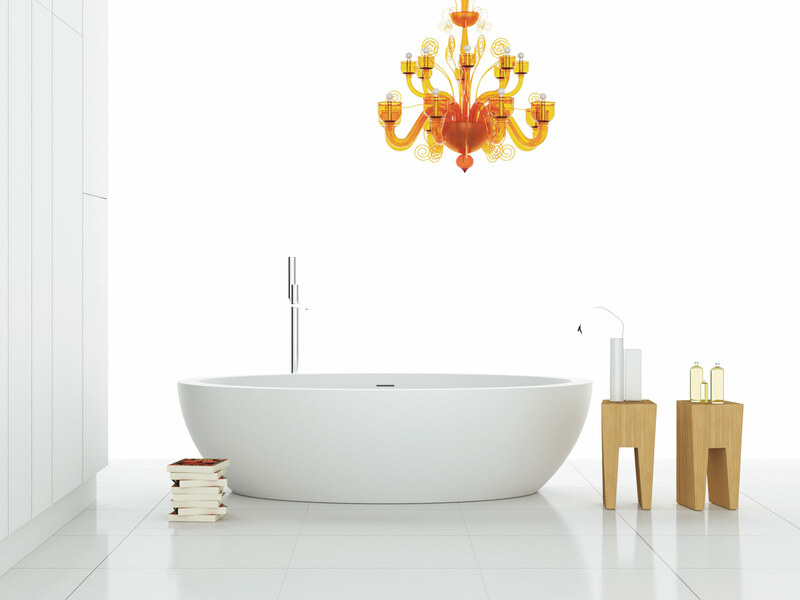 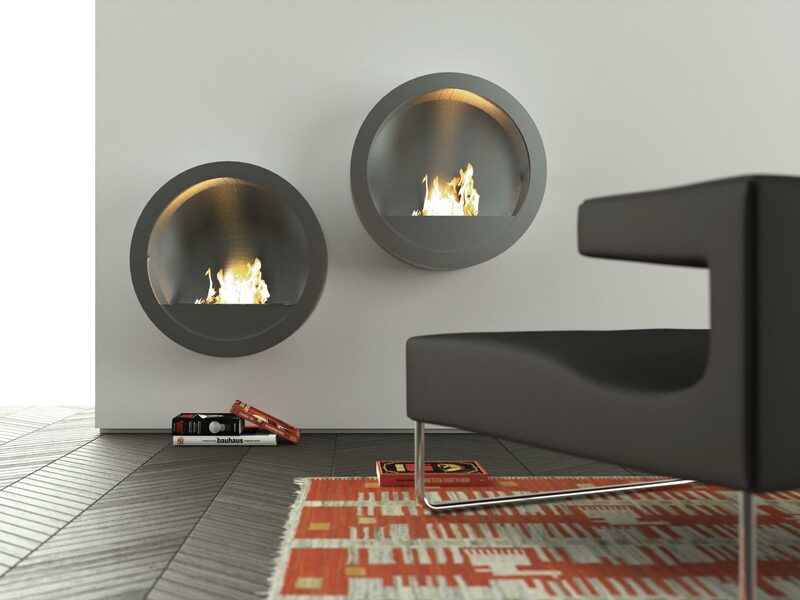 A distinctive trait of all the bathroom furniture and designer fireplaces by Moma Design is the unmatched quality of these furniture items that make them truly unique and incomparable. 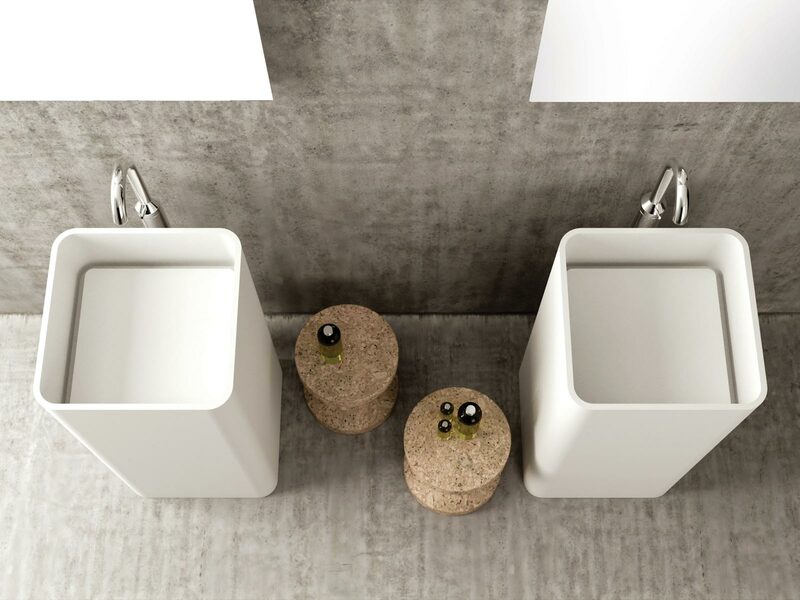 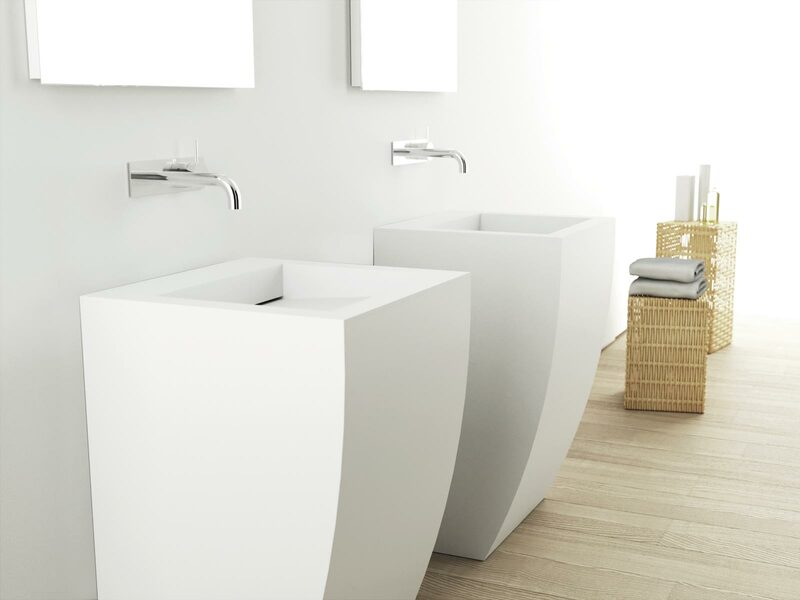 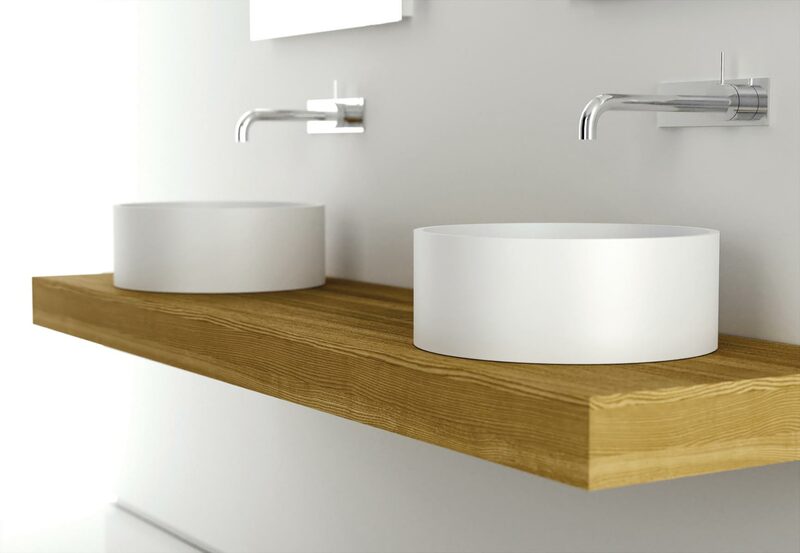 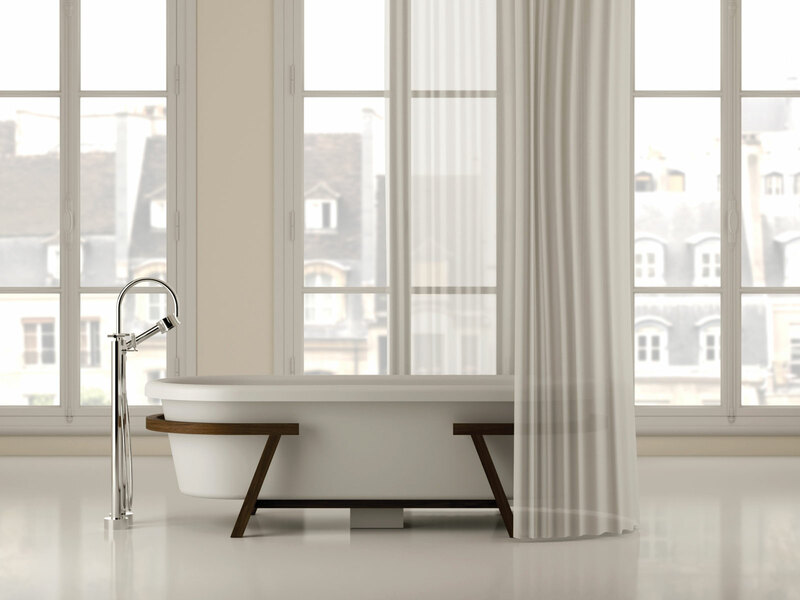 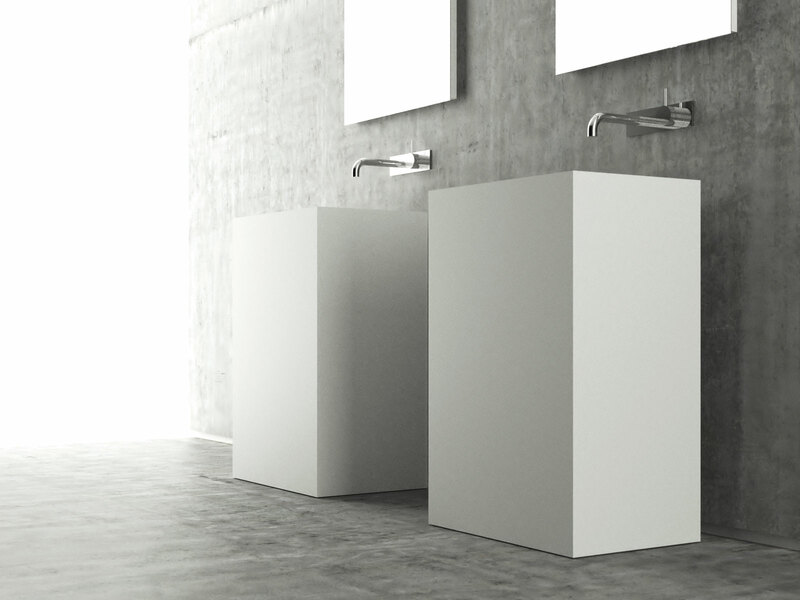 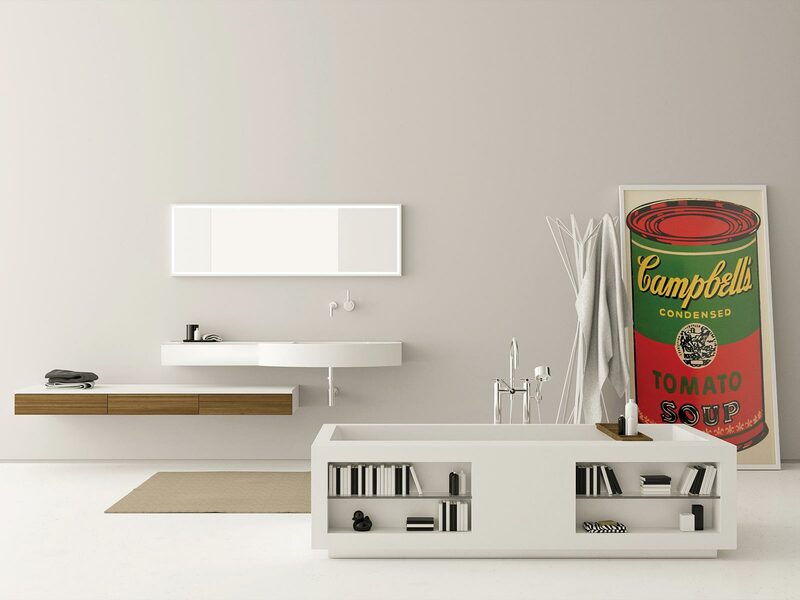 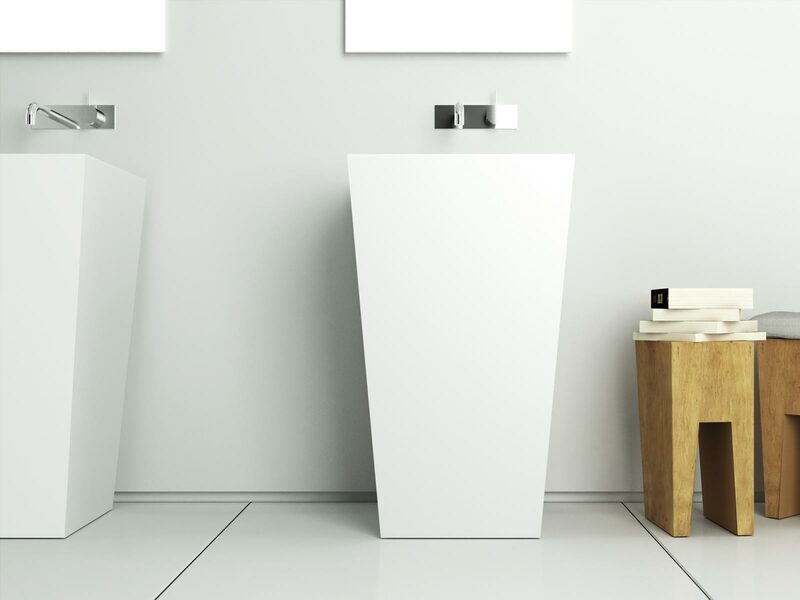 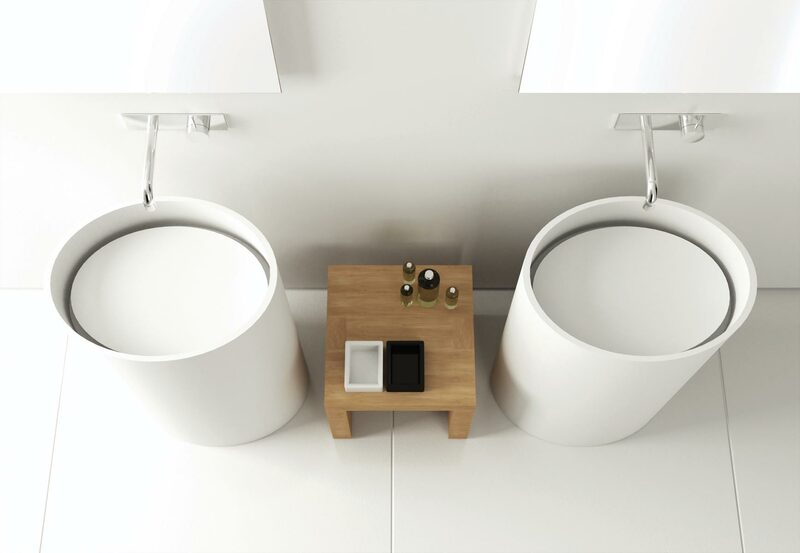 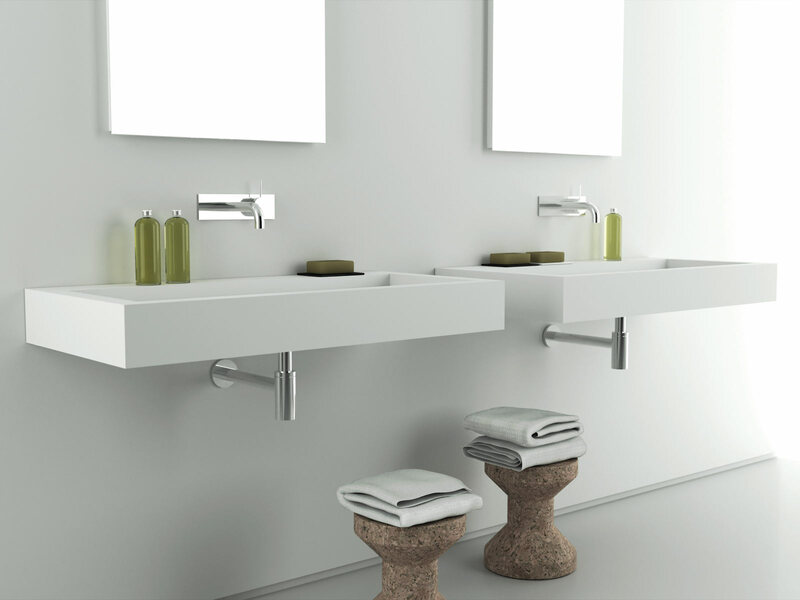 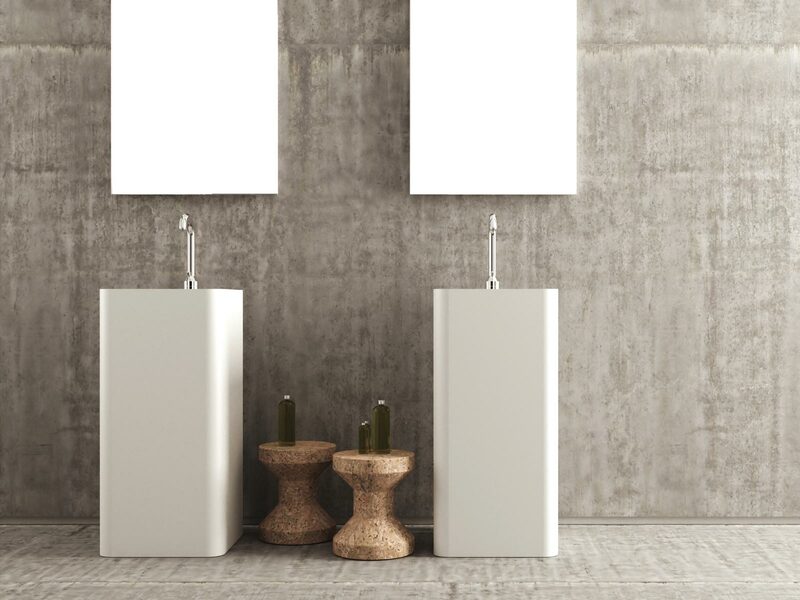 Moma Design manufactures Corian bathroom furniture with a stylish and contemporary touch. 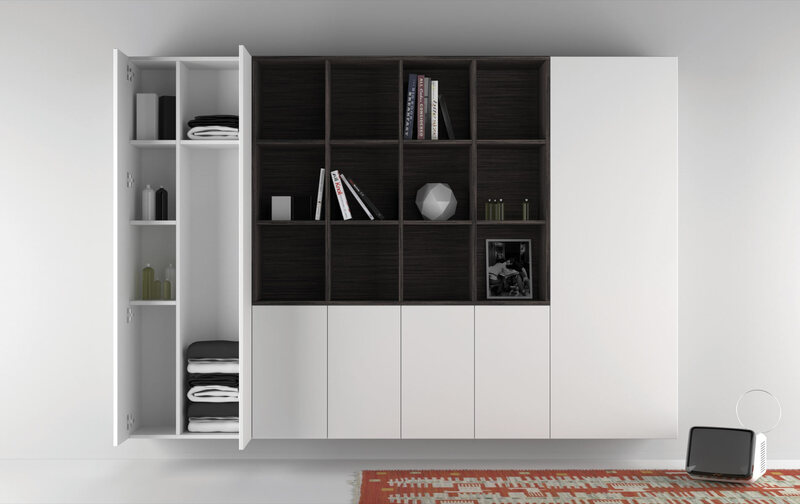 Functionality and aesthetics come together in items that are 100% made in Italy, designed in the heart of Milan - the hotbed of design. 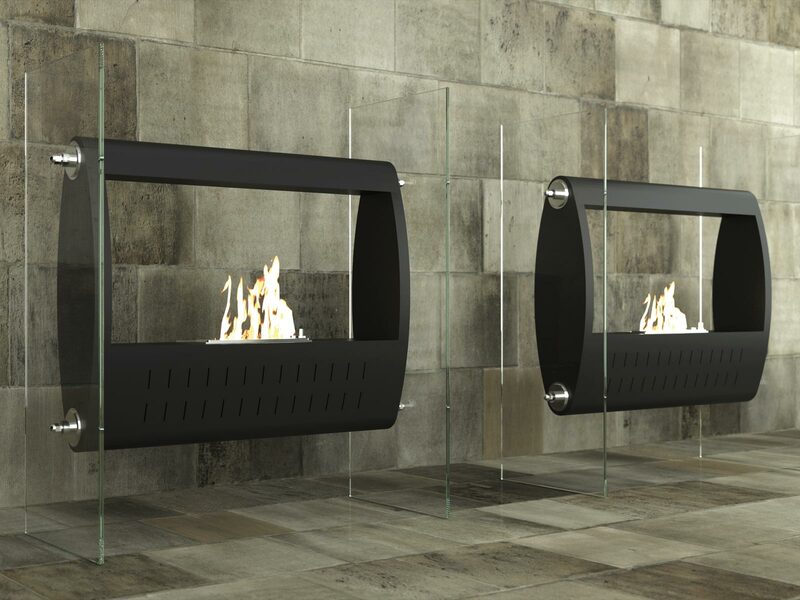 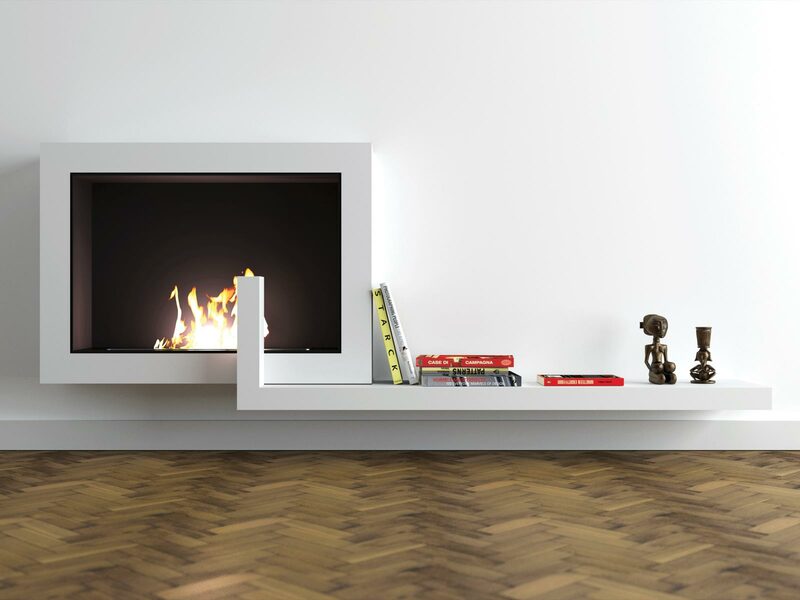 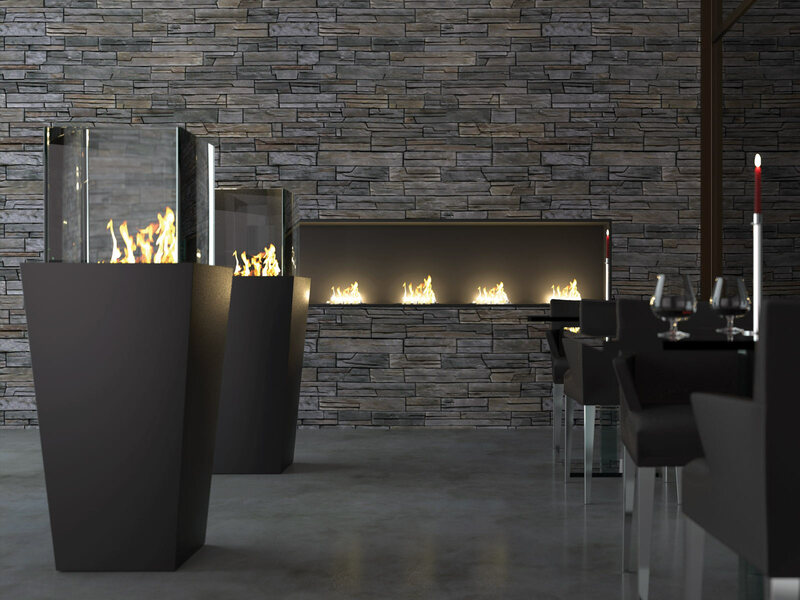 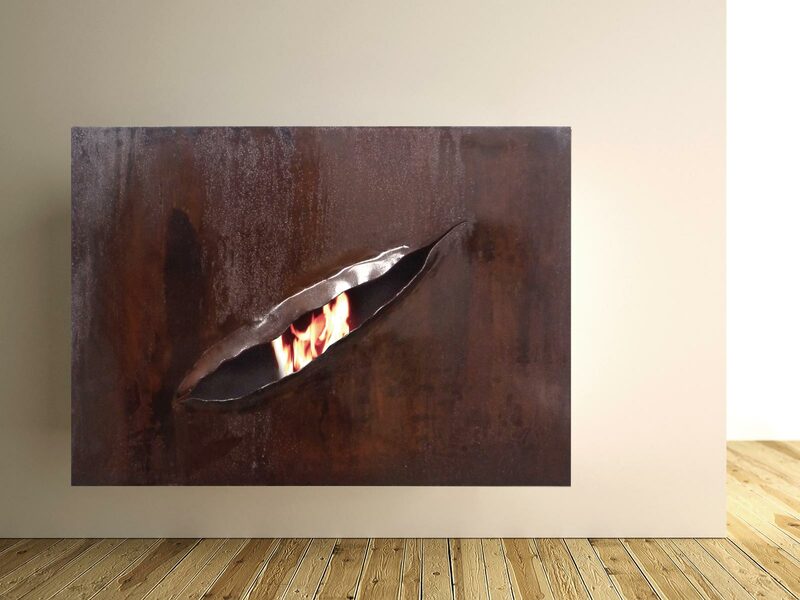 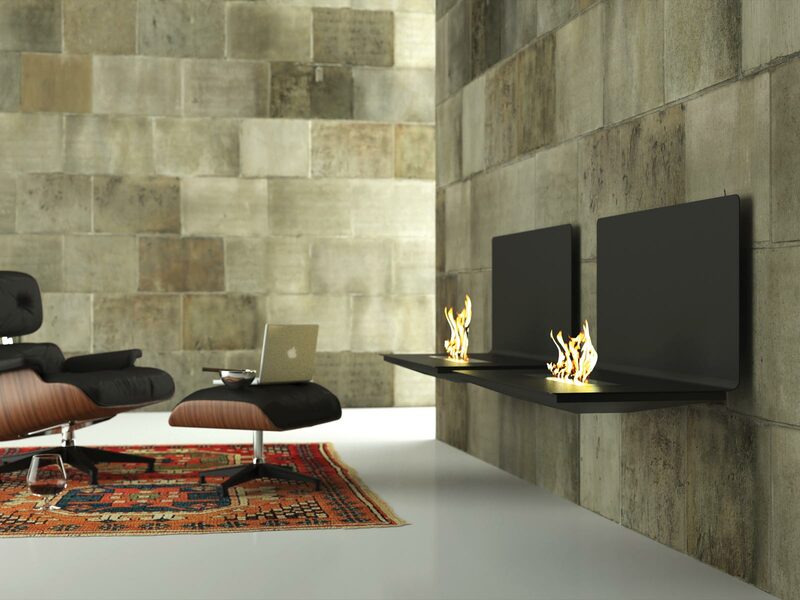 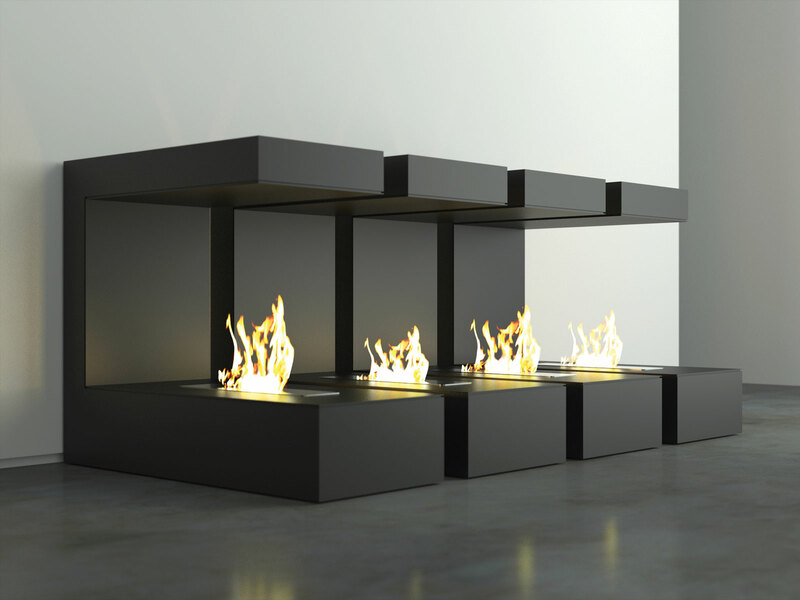 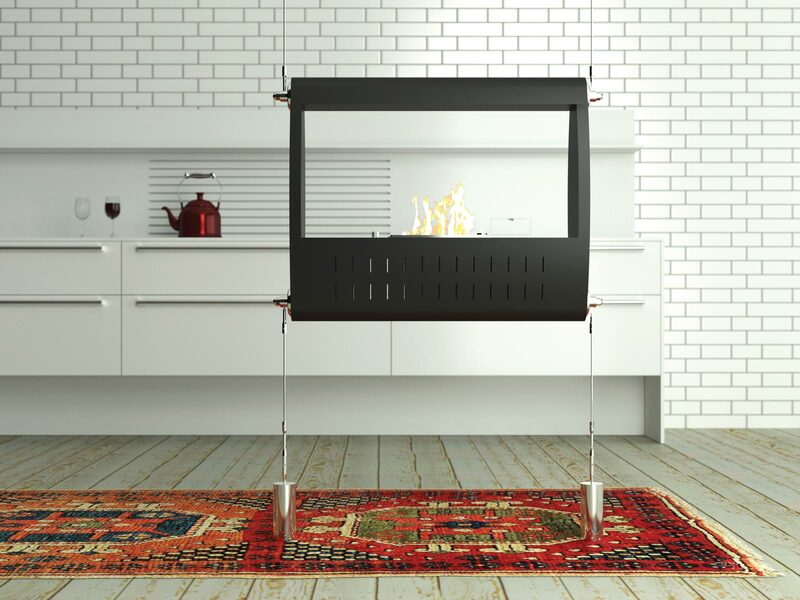 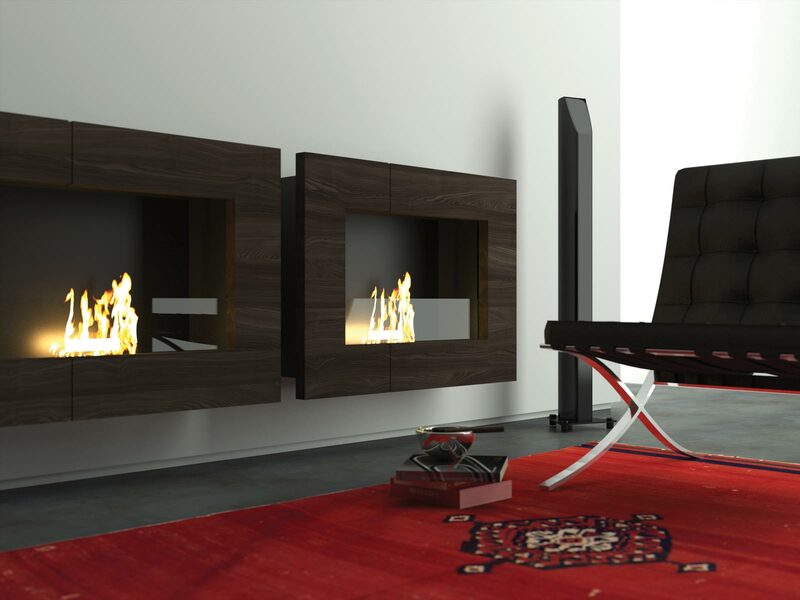 Cutting-edge are also the decorative metal fireplaces made with the most advanced technologies.